The city of Laredo, Texas, is becoming a turnstile for Cubans seeking asylum in the U.S. Hundreds of Cuban refugees coming from Central America to Mexico are being passed through into Texas will little, if any, screening. Hispanics in South Texas appear to be resenting the special treatment of the Cubans. 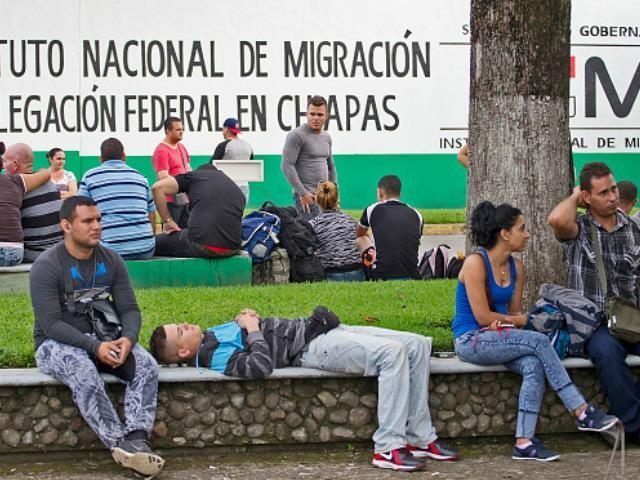 Breitbart Texas reported on Saturday that thousands of Cubans who have been stranded in Costa Rica since Nicaragua closed its border to the refugees are now being flown directly to Nueva Laredo, Mexico. At that point they can easily cross into Texas and apply for adjustment to their alien status. Once this happens, they are free to travel across the United States and are immediately eligible for government benefits. The numbers of Cubans crossing into Texas is rising on a daily basis, according to the New York Times’ Julia Preston. The hundreds of Cuban refugees seem to get little, if any, screening. Once they cross the border, they are processed by U.S. Customs and Border Protection (CBP) officers and released within hours, the article states. Officials from the City of Laredo have warned the Cubans not to be loitering in town. Breitbart Texas’ Lana Shadwick reported the spike in Cubans heading for Texas appears to be a direct result of the President’s establishment of diplomatic relations with the Castro-lead government in Cuba. Cubans fear the special adjustment in immigration afforded to them under the Cuban Adjustment Act of 1966 may soon come to an end and they would then be treated like any other illegal alien. While the Cubans appear to receive routine criminal and terrorism background checks that anyone else crossing the border might go through, there are no medical checks or immunization requirements Preston reported.